Help your team, colleagues, friends and family prepare for the year ahead by sharing powerful insights on the big ideas that could shape all our futures. As we approach the holiday season, we'd like to make a very special offer to you and your teams. We are offering a 25% discount on the print, PDF and e-reader versions of both The Future of Business and 2015-16 State of the Future. The Future of Business draws on the ideas of 62 future thinkers from around the world to explore the economic, political, social and technological forces, developments and ideas shaping the future. It examines how these potentially disruptive advances could transform existing industries, create new trillion-dollar sectors and reinvent business over the next decade. The book also provides a powerful set of tools and approaches to help embed future thinking and navigate the organisation through a fast changing landscape. "The beauty of The Future of Business can be found at three levels: the self-contained quality of each chapter, the disruptive model used to publish it and its potential use as temporary gym equipment [for the body and brain]." 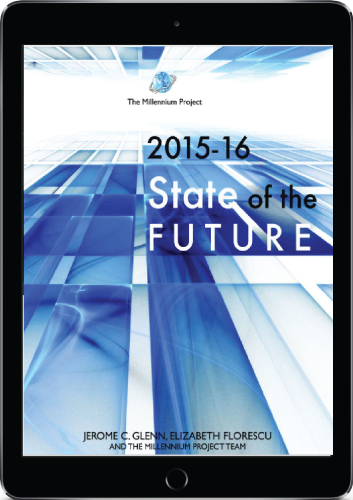 2015-16 State of the Future - This is the eighteenth and most comprehensive edition of the study which is compiled with input from across the globe and via The Millennium Project's 56 country nodes. The 2015-16 State of the Future highlights 15 global challenges and is a compelling overview of humanity's present situation, issues, opportunities, and potentials for the future. It highlights actions and policies that could improve humanity's outlook - in clear, precise, and readable text with unparalleled breadth and depth. "It is time for intolerance of irrelevant speeches and non-actions by leaders. The stakes are too high to tolerate business as usual", warns the Executive Summary of the report. The offer runs from now until December 31st. To ensure delivery by December 24th, please place your order by December 16th. The link to our store is here. Additional discounts of up to 30% are available on orders for two or more books. 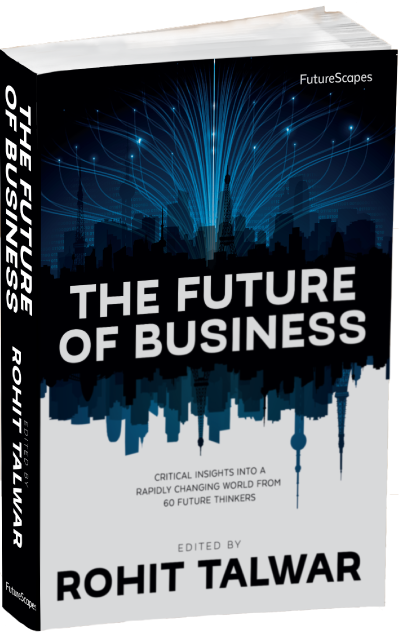 If you'd like to order more than 20 copies of The Future of Business please email info@fastfuturepublishing.com so we can provide you with a quote for the shipping costs. Please use discount code gift4futr at checkout.